The Liberty French Romantics 2-1/2 in. Bronze Cup Pull with Copper Highlights adds warmth and elegance to your cabinetry not included or furniture not included. The pull installs easily with the included 8-32 x 1 in. machine screw. 2-1/2 in. center-to-center installation. 64mm Davidson Cup Pull The Liberty French Romantics 2-1/2 in. Bronze Cup Pull with Copper Highlights adds warmth and elegance to your cabinetry not included or furniture not included. The pull installs easily with the included 8-32 x 1 in. machine screw. 2-1/2 in. center-to-center installation. 64mm Davidson Cup Pull is rated 4.8 out of 5 by 24. Rated 5 out of 5 by GailL from These are beautiful and they look nice on my brand... These are beautiful and they look nice on my brand new Thomasville cabinets. Rated 5 out of 5 by BeeWizard from Product was just as advertised. The pulls are study and... Product was just as advertised. The pulls are study and look very nice. Rated 5 out of 5 by Debra from I purchased these Bronze with Copper Highlights Cup Drawer Pull.... 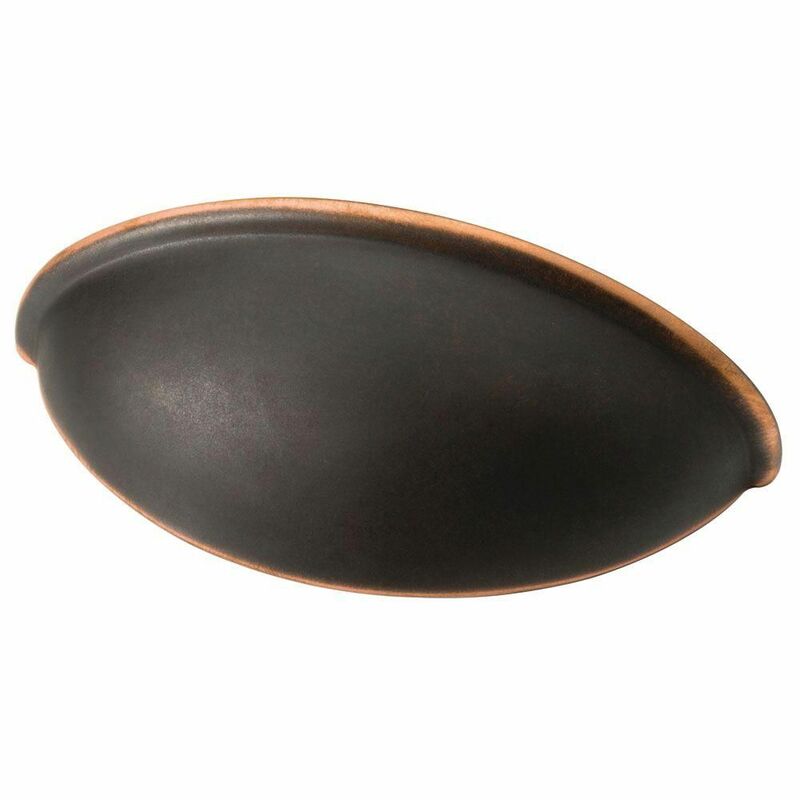 I purchased these Bronze with Copper Highlights Cup Drawer Pull. They are easy to install and easy to use. They look nice on the drawers and are complemented by the refined Bronze Caninet Pulls. My kitchen looks awesome with the pulls. Rated 5 out of 5 by Darlene from Good quality and nice looking!... Good quality and nice looking!